To Breathe is to Live. This simple reminder can help anyone, of any age, gender, size, race, or belief….there are no limits. 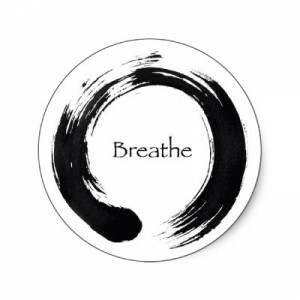 We are Our Breath, which connects all of us in this moment. Yoga Bloom LAB is an acronym for Live And Breathe, something that is natural and necessary for us to continue life. My respect and belief in yoga as healing comes out of seeing first hand how this practice has transformed my life and my view of the world. I have been witness to many students, friends, associates and peers become transformed by this practice of yoga as therapy and healing. YogaBloom® LAB provides a broad, in-depth approach to Yoga Therapeutics. Yoga Bloom LAB Master Sessions concentrate on developing the professional and refined skills needed to teach safe, effective and healing yoga classes for All levels. As teachers looking to work therapeutically in a private or group setting, it’s critical to understand your students and what their needs are. Yoga Bloom LAB helps yoga practitioners gather tools and insight, stressing practical and essential skills for work in a therapeutic setting. Yoga Bloom LAB Master Sessions emphasize alignment and anatomy and safe ways to explore physical healing. A body unrestricted in fascia and connective tissue can access subtle understanding of energy meridians. LAB is designed for you to study and complete programme within your own time and needs. Modules are offered several times a year throughout the US. Yoga Bloom LAB Certification generally requires two years but time varies dependent on curriculum and personal motivation of self study – Svadhyaya. This is an opportunity to dive into the practice, study and teaching of Yoga as Therapy. Curriculum, reading, assignments and thoroughness reflects the programme commitment to developing personal excellence and discernment as teachers. Cora has spent over 20 years teaching yoga, and is consistently featured in international yoga publications, radio and video.. Apprenticing with influential senior teachers in the US, she teaches at international Yoga conferences, and works with respected medical institutions. Her teaching philosophy is safe, inclusive, honours and encourages an individualistic, modern and approachable view to Yoga. Cora encourages and integrates useful skills to create exceptional teachers and practitioners who embody healing.